Today I received this great picture in my email from my friend Donna. This is her daughter Heather, a brilliant young lawyer who is not an artist. Donna sent her one of our Wallovers’ stencils (Flower Power) and Heather used it to create this pattern on her mother’s wall. It’s gorgeous….Just like Heather. Now if we could just get rid of this blizzard…I would be in more of a “Flower Power” mood. Be back in the studio tomorrow. Oh, and I got 8 orders for “Cereal of Hope”. We can almost start building the school! Cereal of Hope Is Baking! What smells so delicious in the kitchen? 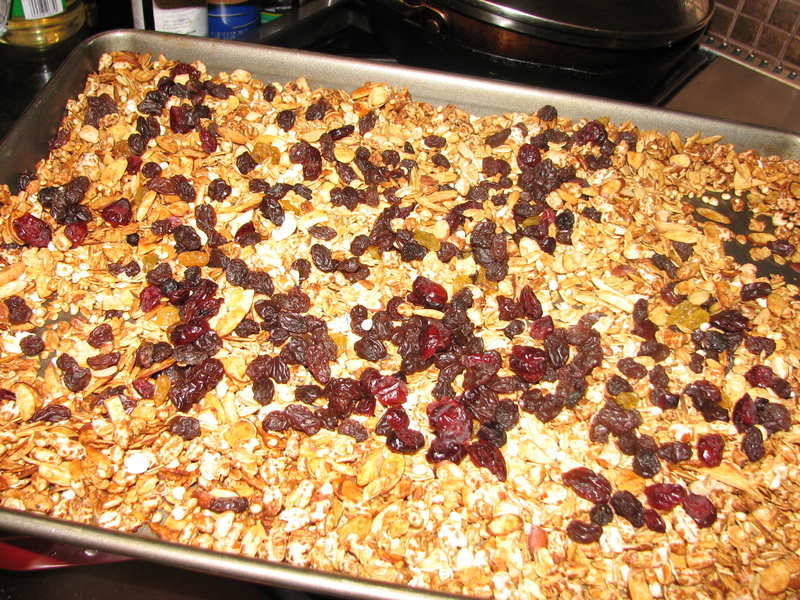 It’s granola cereal baking especially for young children in the South of Sudan. Well, not exactly. 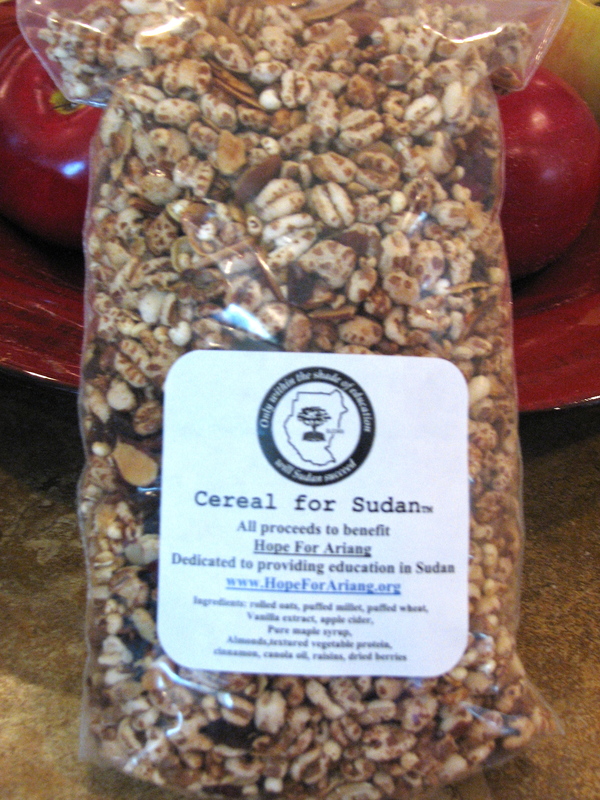 I can’t ship it there but the money raised from selling “Cereal of Hope” goes directly to building a school for children in the war torn area of Ariang Sudan. Tonight is one of many breaks from the studio to raise awareness for the people of Sudan. I work with my friend Gabriel Bol Deng who is in Sudan now meeting with contractors to build the school for 400 children who have no nutritional food, clean water, or education. Read my friend Jen Marlowe’s article if you want to learn more about the conditions in Gabriel’s village and South Sudan. It’s so delicious it’s raised over $2,000 for the school. Want a bag? Just comment here. It’s $15 a bag plus $5 to ship anywhere in the US and you will directly help hundreds of children. With the economy the way it is most people are not ripping out kitchens and starting from scratch. 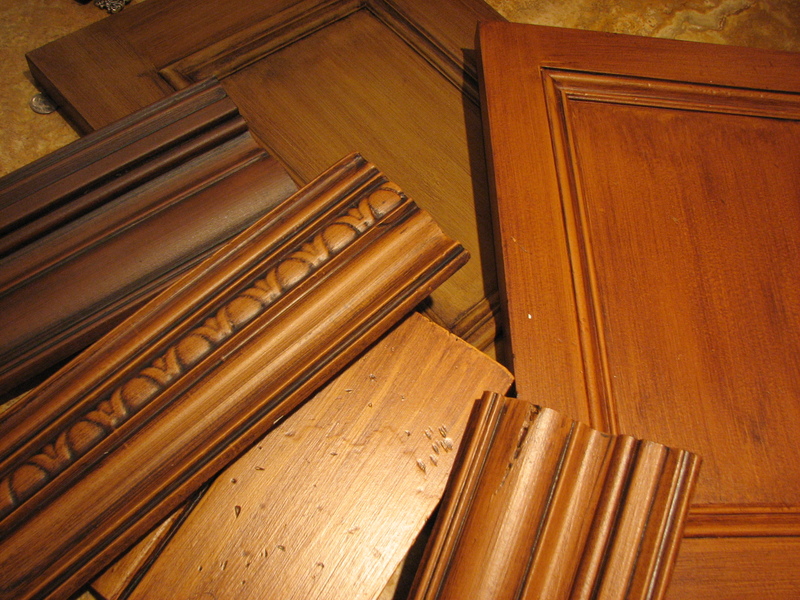 That’s why we have many opportunities to refinish dated cabinets and create an entirely new look. 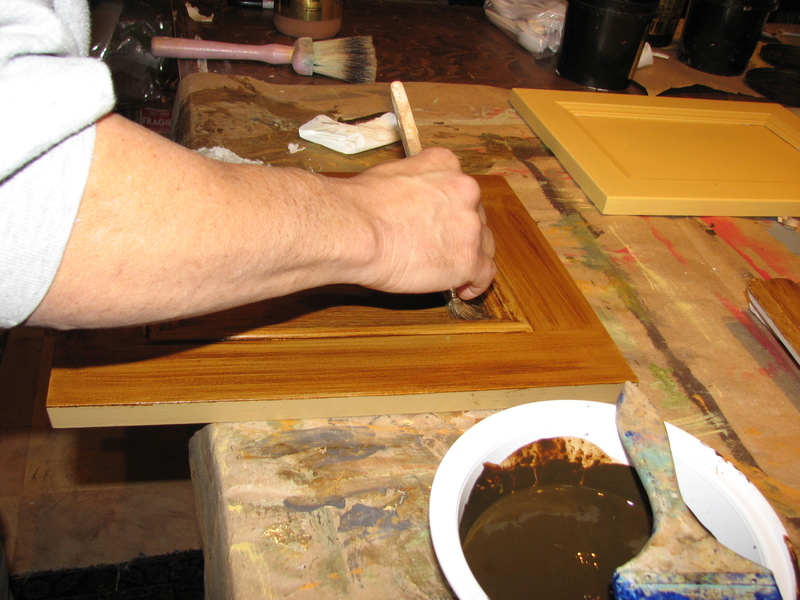 Today I worked with my friend and associate of over 15 years, Aluzio to create some great finishes to present to a customer. I let Al do all the tough stuff like sanding and priming. ok. He’s better than me at the glazing too but I did pick the base colors. Weekends are great for time in the studio to discover new color combinations. 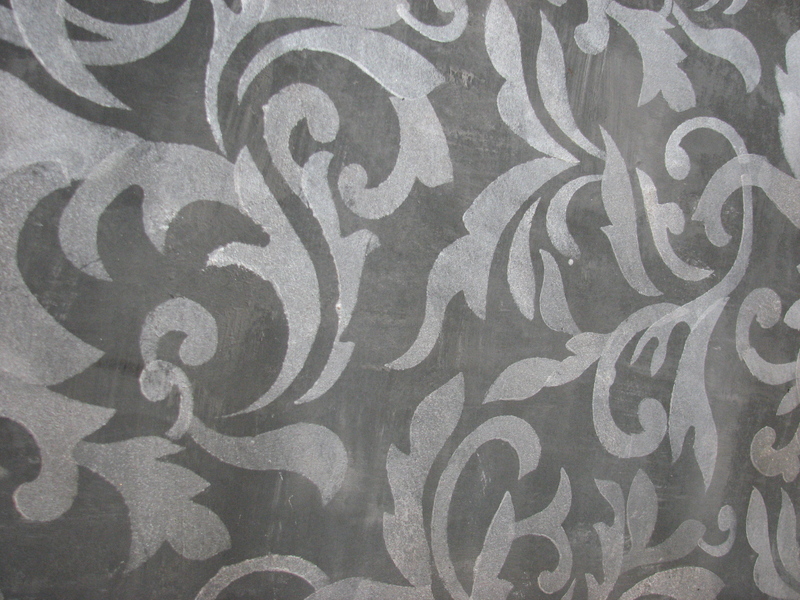 I used a Wallovers stencil, Stephanie’s Damask (named after my daughter Stephanie). Wallovers is the stencil company I started with my friend and coworker Rena Paris. We painted so many patterns together we decided to turn it into a business. 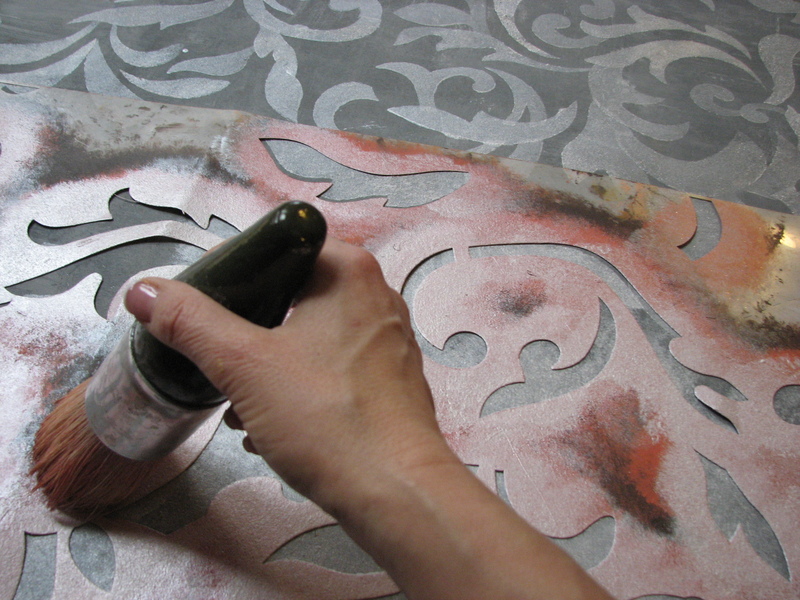 The stencils are so easy to use that you don’t need to be a professional to get great results!! Today I decided to experiment with some Martha Stewart glitter. Although glitter makes a total mess in the studio it also makes a wall spectacularly cool. This stencil, however is done in 2 passes and I ran out of glitter after the first pass. Time to jump in the car and race to Michael’s, (which is a good 25 minute drive from the studio). Running out of glitter in the middle of a project is like running our of olive oil in the middle of cooking! Not good. Well, here’s how it came out. Worth the trip! This seems to be a better blog server for comments. So I moved. Comment away! !